The Cambridge Platonists are a group of seventeenth century British philosophers who attempted to reconcile the empiricism of their British contemporaries and the scientific mind of the time with the idealistic principles of Platonism. Based at the Cambridge University, England in the middle of the seventeenth century, they were active between 1633 and 1688. Their main representatives are Benjamin Whichcote, Henry More, Ralph Cudworth, Nathaniel Culverwel, and John Smith. The Cambridge Platonists were extremely learned scholars but often lacked the originality of thought of more illustrious contemporaries like John Locke in England or Rene Descartes on the continent. The historical interest of their contribution primarily derives from their attempt to harmonize the conflicting approaches of seventeenth century thought by combining faith and reason, spirituality and the natural sciences. Though not very successful—due to their overall lack of creative, integrative power—their undertaking brought to the fore some of the real problems underlying the worldviews and systems that surrounded them. In particular, they exposed the difficulties of Cartesian dualism opposing an immaterial spirit and matter as extension. The notion of infinite space defined by More and Cudworth has links to the emerging Newtonian worldview as well as to spiritualism, hinting at a yet unrealized synthesis. The Cambridge Platonists were reacting to two pressures. On the one hand, the narrow dogmatism of the Puritan divines, with their anti-rationalist (if not anti-intellectual) demands, were, they felt, immoral and incorrect. They also felt that the Puritan/Calvinist insistence upon individual revelation left God uninvolved with the majority of humankind. At the same time, they were reacting against what they perceived to be the narrowly materialist writings of Rene Descartes and Thomas Hobbes. They felt that the latter, while properly rationalist, were denying the idealistic nature of the universe. To the Cambridge Platonists, religion and reason were always in harmony, and reality was comprised not of sensation, but of "intelligible forms" that exist behind perception. Universal, ideal forms (as for Plato) inform matter, and the senses are unreliable guides to reality. As divines and in matters of polity, the Cambridge Platonists argued for moderation. They believed that reason is the proper judge of all disagreements, and so they advocated dialogue between the Puritans and the High Churchmen. They had a somewhat mystical understanding of reason, believing that reason is not merely the sense-making facility of the mind, but, instead, "the candle of the Lord"—an echo of the divine within the human soul and an imprint of God within man. Thus, they believed that reason could lead beyond the sensory, because it is semi-divine. Reason was, for them, of God—and thus capable of nearing God. Therefore, they believed that reason could allow for judging the private revelations of Puritan theology and the proper investigation of the rituals and liturgy of the established church. For this reason, they were called latitudinarians. For Descartes, extension was the property of matter, while thought was the property of spirit. A pre-existing, infinite space apart from matter that fills it is unconceivable from his perspective. Against this view, the new Newtonian physics introduced the notion of infinite space, a notion that is linked to both physical and metaphysical considerations. The Cambridge Platonists, in particular More and Cudworth, are often credited with first grasping the notion of an infinite space, thus preparing the way for the Newtonian worldview. In spite of his initial admiration for Descartes, More came to repudiate his dualism and his mechanistic explanations. For him and his Cambridge colleagues, so-called material reality had a “plastic nature,” i.e., it was not just dead matter, nor was it simply moved by God from the outside. It was endowed with a self-determining character; it was alive. This notion well fits a number of intangible material phenomena, such as light, electricity and magnetism, which were the object of great interest at the time. The Platonists’ opposition to Cartesian mechanism went beyond the discussion of such phenomena in relation to infinite space as their recipient. Their opposition to Descartes also directly touched on the issue of spirit vs. matter. With Descartes, philosophy had reached the purest form of mind-body (or spirit-body) dualism, and also the purest form of the problem: what does a spirit reduced to pure self-awareness (“I think”) concretely represent? If space is only determined by the extension of matter, Henry More concluded, then an unextended spirit cannot really be said to exist. In The Immortality of the Soul (1659), Moore thus opposes Cartesian dualism in a most straightforward and unusual way: he agrees with Descartes that, unlike matter, the spirit is simple and indivisible, yet he denies that it is unextended. “Both material objects and thinking substance are extended and the principle of distinction lies in that corporeal objects are materially divisible whereas spirits are not. More further contends that spirit can penetrate both other spirits and material things as well as initiate motion” (Mijuskovic, 32-33). In this, he clearly displays the influence of Neoplatonists and their theories about the different levels of reality. He also refers back to some of the early church fathers like Origen, Irenaeus, and Tertullian who did not hesitate to elaborate on the nature of spiritual beings. In the history of modern thought, however, he remains an isolated anomaly, except for his friend Ralph Cudworth, who essentially shares the same views. The notion that, in its own way, spirit fills infinite space just as matter does also implies the omnipresence of God’s spirit throughout the universe, which paves the way for Newton’s notion of space as “God’s sensorium” (sense organ). Newton himself was very much interested in the implications of his scientific views on the understanding of God as an immanent, all-pervasive Being. Largely forgotten, this aspect of his thought was actually important in fashioning the contemporary view of God. For this, he was indebted to the Cambridge Platonists. Both Cudworth and More have often been ridiculed for the notion that spirit is extended, the implication being that their definition of spirit thus becomes that of a ghost. The notion that spirits have some kind of spatial extension or appearance can be traced back at least to Plato and to the early church fathers. It can be found in many other cultures as well, but this consideration belongs to the study of spiritualism. It can be said that the Cambridge Platonists have been blamed for asking the right question–how can spirit exist if it has not shape or extension–but also for being unable to find convincing arguments compatible with the new scientific worldview. Precisely because they were not major thinkers, the two Cambridge men maintained within their body of thought insights that they could not really reconcile with the general a priori of the philosophical and scientific world they belonged to. Their insight, if it had been integrated into a coherent system of thought, would have represented a real revolution in the history of philosophy. 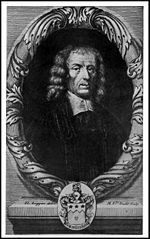 Ralph Cudworth (1617 – June 26, 1688) was the leader of the Cambridge Platonists. Like George Berkeley and many others in this period of emerging modernity, Cudworth sought to defend the belief in God and Christianity against the encroachment of the scientific mind. Similarly also, he was more successful at exposing the insufficiencies of traditional arguments than at replacing them with something more convincing, thus unintentionally contributing to skepticism. Born at Aller, Somerset, he was educated at Cambridge University and became a Fellow of Emmanuel College, Cambridge. In 1645, he became master of Clare Hall and professor of Hebrew. In 1654, he transferred to Christ's College, Cambridge, and was master there until his death. His great work, entitled The True Intellectual System of the Universe, was published in 1678. He was a leading opponent of Thomas Hobbes. In 1642 he had published A Discourse concerning the true Notion of the Lord's Supper, and a tract entitled The Union of Christ and the Church. In 1645 he was appointed master of Clare Hall and the same year was elected Regius professor of Hebrew. He had come to be recognized as a leader among the Cambridge Platonists. The whole party was more or less in sympathy with the Commonwealth, and Cudworth was consulted by John Thurloe, Cromwell's secretary to the council of state, in regard to university and government appointments. His sermons, such as that preached before the House of Commons, on March 31, 1647, advocate principles of religious toleration and charity. In 1678 he published The True Intellectual System of the Universe: the first part, wherein all the reason and philosophy of atheism is confuted and its impossibility demonstrated (imprimatur dated 1671). No more was published, perhaps because of the theological clamor raised against this first part. Cudworth was installed prebendary of Gloucester in 1678. He died on the June 26, 1688, and was buried in the chapel of Christ's. His only surviving child, Damaris, a philosopher herself, was distinguished as the friend of John Locke and exchanged letters with Gottfried Leibniz. Much of Cudworth's work still remains in manuscript; A Treatise concerning eternal and immutable Morality was published in 1731; and A Treatise of Freewill, edited by John Allen, in 1838; both are connected with the design of his main work, the Intellectual System. Like many other contemporary works, The Intellectual System was written in order to refute atheism and the notion of "fatal necessity," or determinism. Cudworth proposed to prove three matters: (a) the existence of God; (b) the naturalness of moral distinctions; and (c) the reality of human freedom. These three together make up the intellectual (as opposed to the physical) system of the universe; and they are opposed respectively by three false principles, atheism, religious fatalism which refers all moral distinctions to the will of God, and thirdly the fatalism of the ancient Stoics, who recognized God and yet identified God with nature. Cudworth displays his vast erudition in an equally vast overview of all possible opinions held by thinkers from Ancient Greece and beyond to the contemporary world. In this, he displays the Cambridge Platonists’ typical interest for perennial philosophy, the idea that philosophical insight is created by a long line of interlinked contributions throughout the ages. However, the work is immensely diffuse and pretentious and almost impossible to read. Cudworth found it difficult to reach clear conclusions that match the questions he raised. On the question of spirits and extension, he was more hesitant than his friend More, but agreed overall. Cudworth believes that some kind of body eternally belongs to the soul and can never be separated from it. He speaks of aeteric and aeric bodies (True Intellectual System, 785-822). Unfortunately, instead of an incisive philosophical analysis, he offers an accumulation of uncritical observation that has earned him the same reputation of credulity and occultism as is the case for Henry More. The short Treatise on eternal and immutable Morality deserves to be read by those who are interested in the historical development of British moral philosophy. It is an answer to Hobbes's famous doctrine that moral distinctions are created by the state, an answer from the standpoint of Platonism. Just as knowledge contains a permanent intelligible element over and above the flux of sense-impressions, so there exist eternal and immutable ideas of morality. Cudworth's ideas, like Plato's, have "a constant and never-failing entity of their own," such as we see in geometrical figures; but, unlike Plato's, they exist in the mind of God, whence they are communicated to finite understandings. Hence "it is evident that wisdom, knowledge and understanding are eternal and self-subsistent things, superior to matter and all sensible beings, and independent upon them"; and so also are moral good and evil. At this point Cudworth stops; he does not attempt to give any list of Moral Ideas. It is, indeed, the cardinal weakness of this form of intuitionism that no satisfactory list can be given and that no moral principles have the "constant and never-failing entity," or the definiteness, of the concepts of geometry. Henry More, in his Enchiridion ethicum, attempts to enumerate the noemata moralia; but, so far from being self-evident, most of his moral axioms are open to serious controversy. Cudworth’s belief in the infallibility of intuition is said to have influenced Ralph Waldo Emerson. Henry More (October 12, 1614 – September 1, 1687) was perhaps the most original thinker among the Cambridge Platonists. He was born at Grantham. Both his parents were Calvinists, but he himself "could never swallow that hard doctrine." In 1631 he entered Christ's College, Cambridge, at about the time John Milton was leaving it. He devoted himself to the study of philosophy, and for a time adopted followed Descartes and a form of skepticism, from which he was turned by the study of the "Platonic writers." He was fascinated especially by Neoplatonism, and this fascination never left him. The Theologia germanica also exerted a permanent influence over him. He took his B.A. in 1635, his M.A. in 1639, and immediately afterwards became a fellow of his college, turning down all other positions that were offered. He would not accept the mastership of his college, to which, it is understood, he would have been preferred in 1654, when Ralph Cudworth was appointed. In 1675, he finally accepted a prebend in Gloucester Cathedral, but only to resign it in favor of his friend Edward Fowler, afterwards bishop of Gloucester. More taught many notable pupils, but the most interesting was a young lady, a sister of Lord Finch, subsequently Earl of Nottingham, a well-known statesman of the Restoration. She later became Lady Conway, and at her country seat at Ragley in Warwickshire More would spend "a considerable part of his time." She and her husband both appreciated him, and amidst the woods of this retreat he wrote several of his books. The spiritual enthusiasm of Lady Conway was a considerable factor in some of More's speculations, even though she at length joined the Quakers. She became the friend not only of More and William Penn, but of Jan Baptist van Helmont and Valentine Greatrakes, mystical thaumaturgists of the seventeenth century. Ragley became a center of devotion and spiritualism. The rationality which distinguishes More's earlier works is much less conspicuous in his later works. He was a prolific writer of verse and in prose, but his works are now little known, except the Divine Dialogues (1688), a treatise that condenses his general view of philosophy and religion. Henry More represents the mystical and theosophic side of the Cambridge movement. The Neoplatonic extravagances which lay hidden in the school from the first came to a head in his writings. He was a spiritual genius and a significant figure in British philosophy, less robust and in some respects less learned than Cudworth, but more fertile in thought. He describes himself as gifted with a buoyant temper. His own thoughts were to him a never-ending source of pleasurable excitement. He was known for his humility and charity as well as for his piety. The last ten years of his life were uneventful. He was buried in the chapel of the college he loved. Before his death, More issued complete editions of his works—his Opera theologica in 1675, and his Opera philosophica in 1678. The chief authorities for his life are Richard Ward's Life (1710); the prefatio generalissima prefixed to his Opera omnia (1679); and also a general account of the manner and scope of his writings in an Apology published in 1664. The collection of his Philosophical Poems (1647), in which he has "compared his chief speculations and experiences," should also be consulted. An elaborate analysis of his life and works is given in John Tulloch's Rational Theology, vol. ii. (1874); see also Johann Georg Ritter von Zimmermann, Henry More und die vierte Dimension des Raums (Vienna, 1881). More is also noted for his notion of the spissitude of a spirit, which refers to its “density” and its ability to contract and dilate. In other words, More seeks to explain how spirits, while existing in space, do so without the limitations associated to material beings. His discussion is fascinating and, in fact, quite consistent in its description of phenomena often reported by spiritualists. Nevertheless, he did not succeed in the arduous task of integrating his views convincingly into the main frame of modern philosophy, even if only as an object of debate. As a result, the noted historian of philosophy Alexandre Koyré merely acknowledges Henry More’s courage in exposing his views and his influence on the formulation of Newton’s new ideas. His discussion on the nature of spirit is dismissed as dated and worthless. Benjamin Whichcote (1609 - 1683), was a Church of England and Puritan divine, Provost of King's College, Cambridge. He was born in Stoke, in Shropshire. He entered Emmanuel College, Cambridge in 1628. In 1637, he was ordained a deacon and priest at the same time. In 1643, he married and took up priestly duties in a Cambridge-dispensed church. In 1644, he became Provost of King's College due to Parliament control of the universities; however, he was the only new head of house who did not subscribe to the National Covenant. In 1650, during the Interregnum, he advised Oliver Cromwell on the subject of toleration of Jews. Upon the Restoration, he was removed from his position at King's College, but he was reinstated when he accepted the Act of Uniformity in 1662. From that time to 1666 (when it burned), he was the curate of St. Anne's Church, Blackfriars. In 1668, he was made the vicar of St. Lawrence Jewry. He was of liberal views, and one of the leaders of the Cambridge Platonists. In 1650, he was involved in a controversy with his former teacher and friend Anthony Tuckney. He was opposed to the doctrine of total depravity and adopted a semi-Pelagian position, holding that man is the "child of reason" and therefore not, as the Puritans held, of a completely depraved nature. He argued that there are some questions that are beyond the ability of reasonable and religious people to solve, and therefore he argued for religious toleration. He was accused at various times by various persons of being an Arminian, Socinian, and Latitudinarian. His works were nearly all published after his death and include Select Notions of B. Whichcote (1685), Select Sermons (1689), Discourses (1701), and Moral and Religious Aphorisms (1703). Henry More (1614 - 1687) wrote many works. As a Platonist, his important works were Manual of Ethics (1666), the Divine Dialogues (1668), and the Manual of Metaphysics (1671). While all of More's works enjoyed popularity, the Divine Dialogues were perhaps most influential. John Smith, a student of Benjamin Whichcote, left no literary remains but was active in the discursive works of the other Platonists. 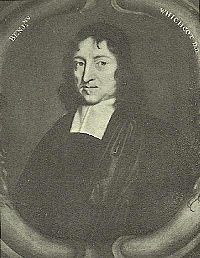 Benjamin Whichcote (1609 - 1683) was one of the leaders of the movement, but he was also an active pastor and academic who did not publish in his lifetime. His sermons were notable and caused controversies, and Whichcote wrote a great deal without publishing. In 1685, Some Select Notions of B. Whichcote was published due to demand. After that was Select Sermons (1689) (with a preface by Shaftesbury) and Several Discourses (1701). Finally, a collection of his sayings appeared as Moral and Religious Aphorisms in 1703. Koyré, Alexandre. From the Closed World to the Infinite Universe. New York: Harper & Brothers, 1957. Mijuskovic, Ben Lazare. The Achilles of Rationalist Arguments. The Simplicity, Unity, and Identity of Thought and Soul from the Cambridge Platonists to Kant: A Study in the History of an Argument (International Archives of the History of ideas, Series Minor 13). The Hague: Martinus Nijhoff, 1974. Gysi, Lydia (Mother Maria). Platonism and Cartesianism in the Philosophy of Ralph Cudworth. Bern: Herbert Lang, 1966. This page was last modified on 6 January 2017, at 23:02.